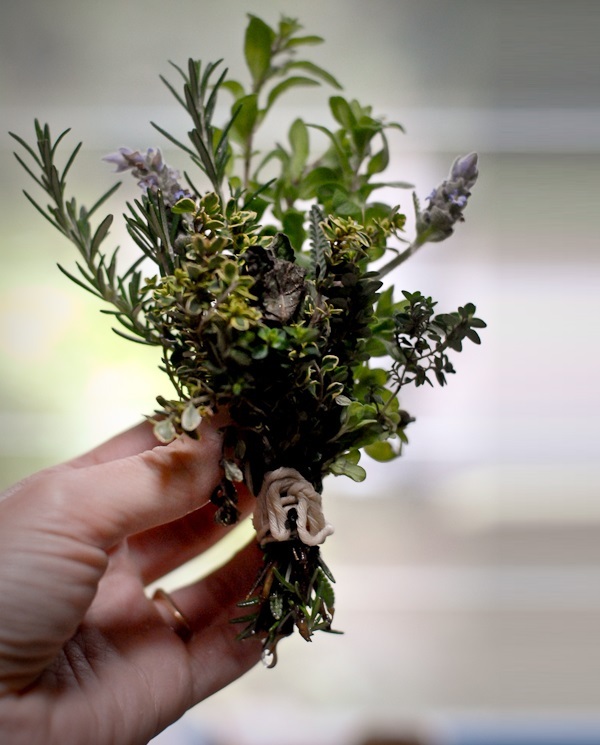 Have you tried herbal bath bouquets yet? They are my newest go-to revelation, thanks to Becca! They honestly have the power to transform a rather ordinary evening bath into a soothing ritual you'll want to go back to. 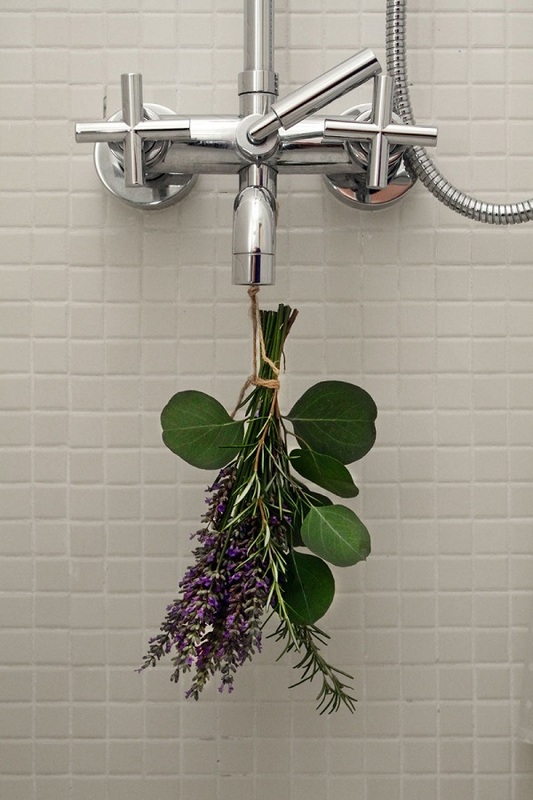 You can make it using your favourite fresh herbal sprigs and hang it under the running water, allowing it to run freely through the herbs before hitting the tub. My favourite combination is rosemary, eucalyptus, lavender and mint. Ah, there is no lovelier way to enjoy the healing and aromatic goodness of nature. P.P.S: Fancy being more creative? My wife will love this. When she gets home from work Im going to make it happen! This sounds (and looks) lovely!